Established in 2008 as a collaboration between Bridget Elmer and Emily Larned, ILSSA was born out of friendship, feminism, and the engagement of obsolete technology as a personal, political, conceptual, social, and aesthetic strategy. ILSSA Working Group at The Center for Craft, Creativity, & Design (2013). Want to keep current with ILSSA? Please subscribe to the ILSSA Listserv, and/or follow us on Instagram. Want to get in touch? Write to us at operator@impractical-labor.org. We'd love to hear from you! Local 347 Shop FS Bridget Elmer is an artist, bookmaker, letterpress printer, and co-owner of Print St. Pete Community Letterpress. She is a frequent instructor at Ox-Bow, Penland, The Press at Colorado College, and Ringling College of Art and Design. Bridget studied bookbinding, letterpress printing, printmaking, and artists' books at the Cooper Union, Center for Book Arts, Penland School of Crafts, Asheville BookWorks, and the California Rare Book School. She received her MFA in the Book Arts, as well as her MLIS, from the University of Alabama. She is currently the Letterpress and Book Arts Coordinator at Ringling College of Art and Design in Sarasota, FL, and President of the College Book Art Association. Find her on Instagram as @flatbedsplendor. Local 917 Shop RC Emily Larned has been publishing as an artistic practice for over 25 years, when she created her first zine (Muffin Bones) as a teenager. Her work is collected by over 70 institutions and exhibited internationally, and she teaches and lectures widely. She received her MFA in Graphic Design from Yale School of Art, and her self-published handmade books have won design awards from the Type Directors Club (TDC), the Connecticut Art Directors Club (CADC), and the AIGA (50 Books | 50 Covers). She is currently Chair & Associate Professor of Graphic Design at SASD, University of Bridgeport, Connecticut. In addition to writing, designing, printing, and publishing, she also knits, embroiders, practices Vipassana meditation, and grows and cooks vegetables. Find her on Instagram as @emilylarned. As fellow artist-publishers, feminists, and educators, we met through Booklyn Artists Alliance (NYC) in 2002 and quickly became close friends. Within a few years, we found ourselves hundreds of miles apart pursuing graduate studies: Bridget studying book arts, Emily graphic design. We felt isolated, restricted by the disciplinary parameters of our programs. We wanted to unite and expand these activities. As letterpress printers interested in socially engaged art, we were curious how other artists and makers were utilizing obsolete technology (OT) as a personal, political, conceptual, social, and aesthetic strategy. If one is privileged with access to emerging technologies, preferring OT is often a values-based decision. Sustainability, affordability, accessibility; controlling the means of production; opportunities for fresh solutions due to severe restrictions; labor-intensive processes which problematize the relationship between meaningful work and remuneration; a prioritization of process over product; a rejection of novelty; a refusal to succumb to the demands of the market: these are characteristics shared by many, if not all, forms of OT. We were intrigued by Marshall McLuhan's and Walter Benjamin's shared notion that OT, once liberated from its original purpose, becomes an artform. 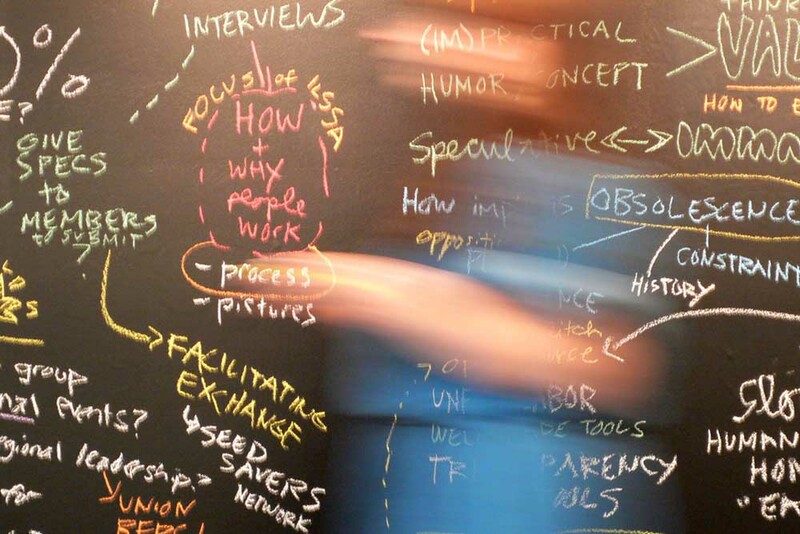 We established ILSSA to locate and connect our far-flung peers, those artists and makers using OT to create what we called "speculative arts:" process-driven iterations that wander into unknown, exploratory territory. 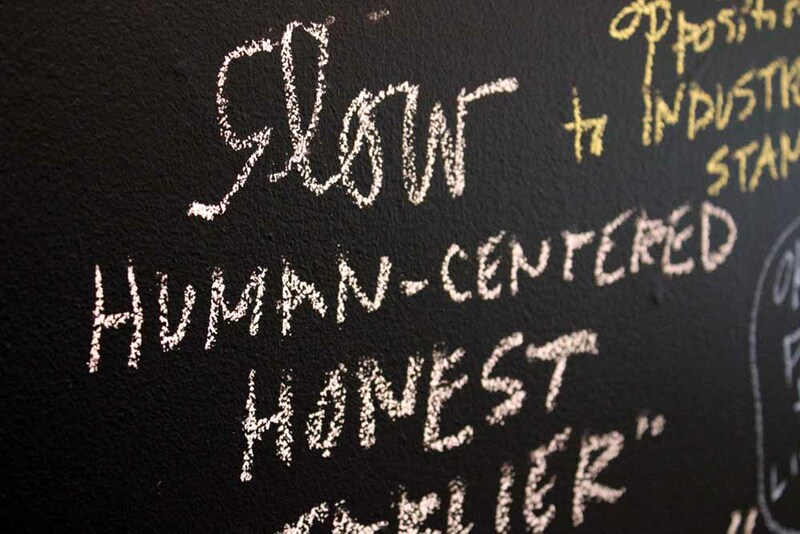 As the 2008 economic crisis erupted, we felt strengthened in our purpose: it was time to reconsider how and for what we live. Process over product. The means contain the meaning. 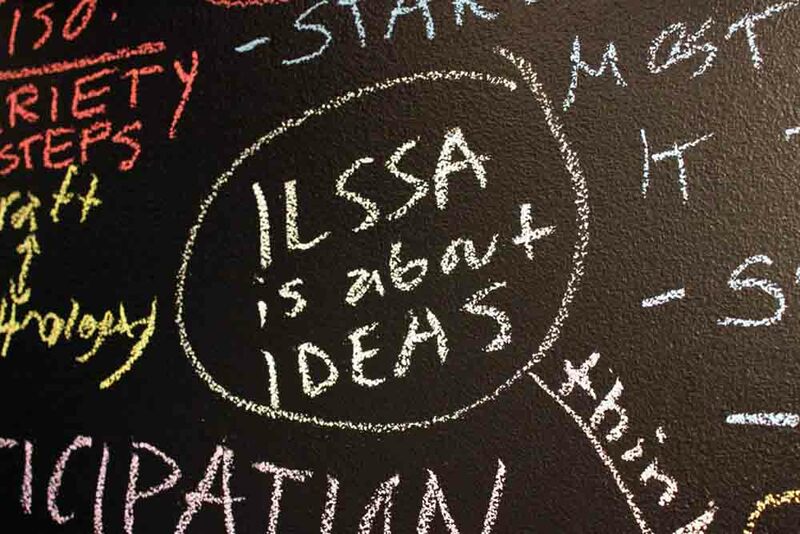 Over the years, as we developed and iterated new projects as ILSSA, we realized that our mission was to help impractical laborers cultivate a considered, thoughtful, and balanced creative practice—whether or not we engaged OT. Now that we're living in an era of fear, terror, and exhaustion, creating alliances that support, sustain, and nourish each other is critical. While we have removed the phrase "obsolete technology" from the mission on our homepage, the values inherent to OT remain central to us and to many of our members. ILSSA is informed by: the ethics and aesthetics of care of 1970s radical feminism; the interests, actions, and publishing of the Situationists; the Arts & Crafts movement's belief in the value and benefit of making things by hand; the immediacy, accessibility, affordability, and DIY sensibility of zines and mail art; the design method of iterative problem-seeking; socially engaged art’s commitment to creating a new reality through bettering daily life; the art workers’ movement of the 1960s; publishing as an artistic practice; cultural anthropology; and labor unions. A word on the lattermost: a union is an organization formed around labor interests—an organization created for workers, by workers, in order to better their lives. We respect how unions have been able to improve material conditions for workers through collective bargaining with employers. The ILSSA Union is different. The nature of impractical labor is that it is self-initiated, chosen for its innately satisfying characteristics, not for its exchange value. As such, our Union seeks to improve the immaterial conditions of our fellow impractical laborers: how we experience what we are making—our lives. This website is coded by hand by ILSSA Co-Operator Local 917 Shop RC Emily Larned. The Union page employs a custom-made software tool crafted by Local 503 Shop JL John Labovitz.